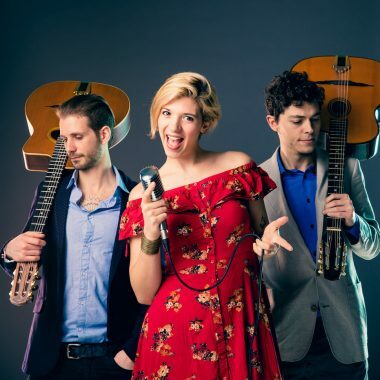 Gypsy Dynamite are an energetic Gypsy jazz ensemble who perform unique and fresh arrangements of traditional Gypsy swing, Italian and Spanish music. They guarantee to bring that Gypsy swing feel to your event. 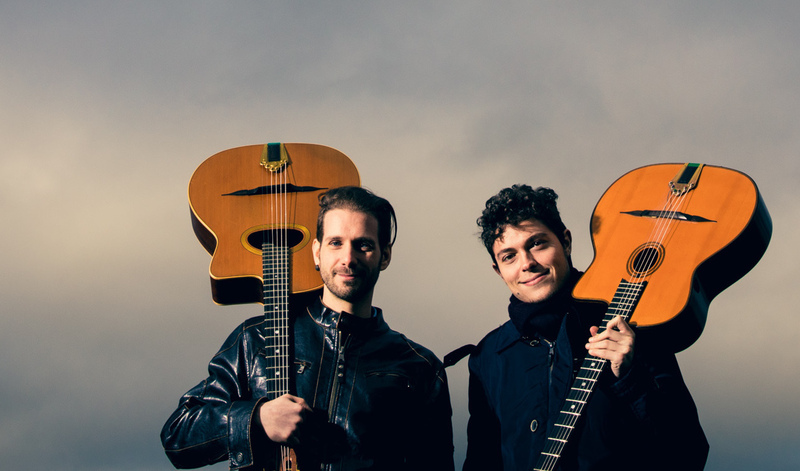 Gypsy Dynamite are an authentic Gypsy jazz ensemble who formed in 2001. 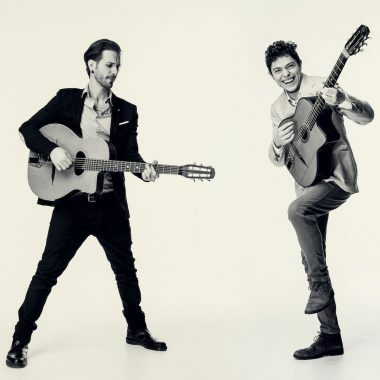 They perform unique and fresh arrangements of traditional Gypsy swing, Italian and Spanish music in various lineups from a duo to a six piece band. 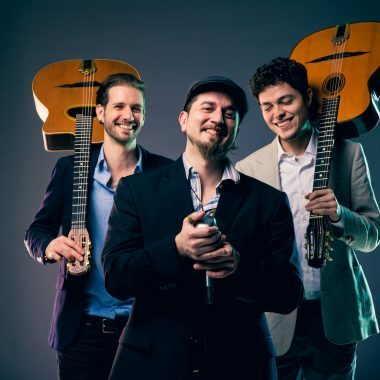 They are a highly sought-after Gypsy jazz band for wedding gigs, corporate and private events. 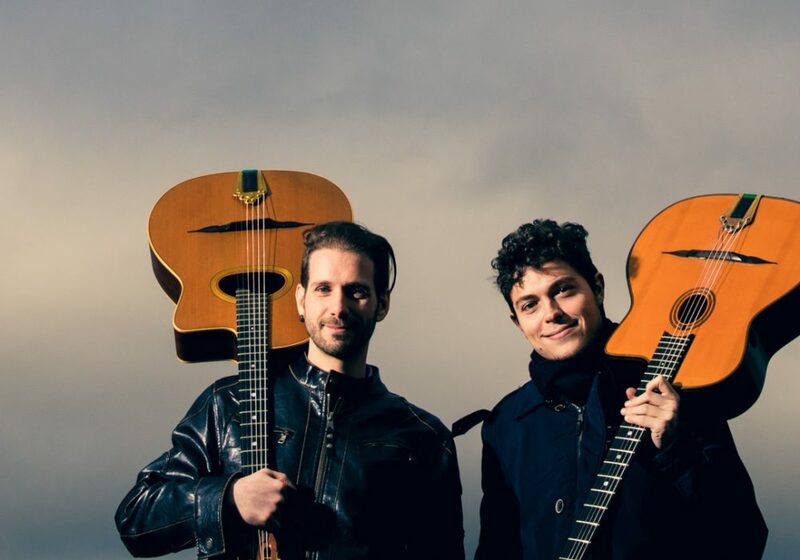 Gypsy Dynamite have recorded their own album at “Le QuecumBar”, the most prestigious Gypsy jazz venue in Europe, and were featured in Portobello Radio and London One Radio. As well as performing regularly in the UK, they have toured in France, Italy, Malta and Russia, and played at many illustrious venues including the House of Parliament, Brasserie Zedel, Tower of London, Union Chapel, Novikov, the Century Club, Brasserie Toulouse Lautrec, Le QuecumBar, The Forge, Gaucho, Cahoots, The Hideaway and the Green Note. They often team up with prodigy guests from London’s top music scene, expanding their lineup up to a 6-piece band.